Some Texas families are caught in a catch-22 when it comes to mental health services. Imagine trying to get your child mental health care – but getting punished for it by the state’s child protective services department. It’s a common case for parents like Angela Brown, a teacher in Dallas. She has struggled for years to find appropriate mental health care services for her adoptive son who has been diagnosed with Bipolar disorder and is unable to control his anger and physical aggression. 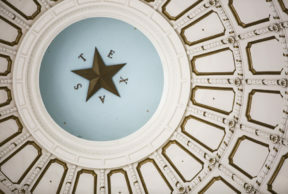 Brown, as Texas Tribune reporter Alana Rocha tells the Texas Standard, is at her wit’s end trying to find affordable long-term appropriate therapeutic services. Brown adopted her son when he was four years old. He’s now 16. Rocha says since Brown’s son was 12, he’s been through a long list of resources to help him manage his behavior, but he hasn’t been able to get the right care, and it’s no longer safe for him to live at home with Brown and her other two children. Brown’s son is currently in foster care, where he can finally get access to the services he needs. But if Brown gives up full guardianship rights to her son, she will be branded as someone who’s been “refusing to accept parental responsibility” and will be placed on a register along with parents who have been found guilty of abuse or neglect. Rocha says this bill could change all that. The bill would change the law to disallow the state to find parents guilty of abuse or neglect solely because they gave up their rights to get the necessary help for their kids. So far the bill has sailed through the Senate and will come out on the House floor this week.